I have decided to add perfumery to my artistic portfolio. For years, I searched for scents that I loved and was almost always dissatisfied. Real perfume is rare in today's marketplace; and when you find it, the costs are exorbitant. I understand the expense to a point: ingredients for perfume are precious and valuable, but the added fees for brand identity are excessive. I discovered that making perfume is similar to my existing practice, wherein I combine traditional media, engineering, and intuition. 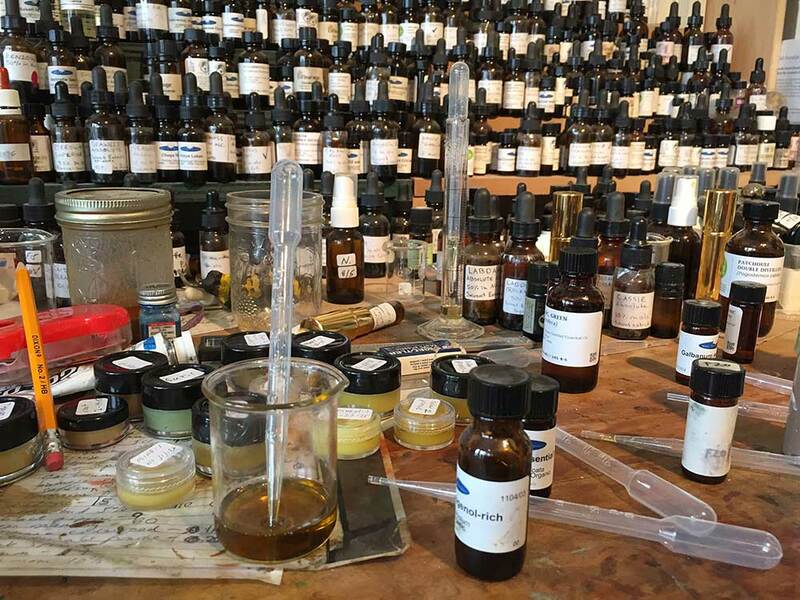 Perfumery promises transcendent results, but the process of creation is both artistically and scientifically demanding. 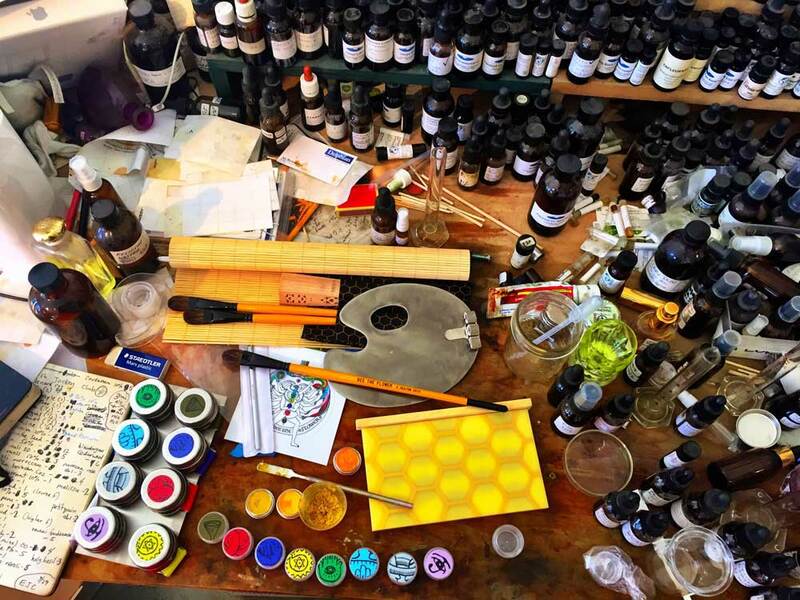 Fortunately, I have a knack for art and science, so making perfume has been a natural progression for me. Some of you may remember my initial foray into perfumery from Pollination (2015). I created a series of perfumes corresponding to the chakras of the human body, along with body pollen. Both were combined into a painting kit that is used to adorn yourself with scent and color -to literally become a flower- as would attract a bee (or in our case, another pollinating human being). 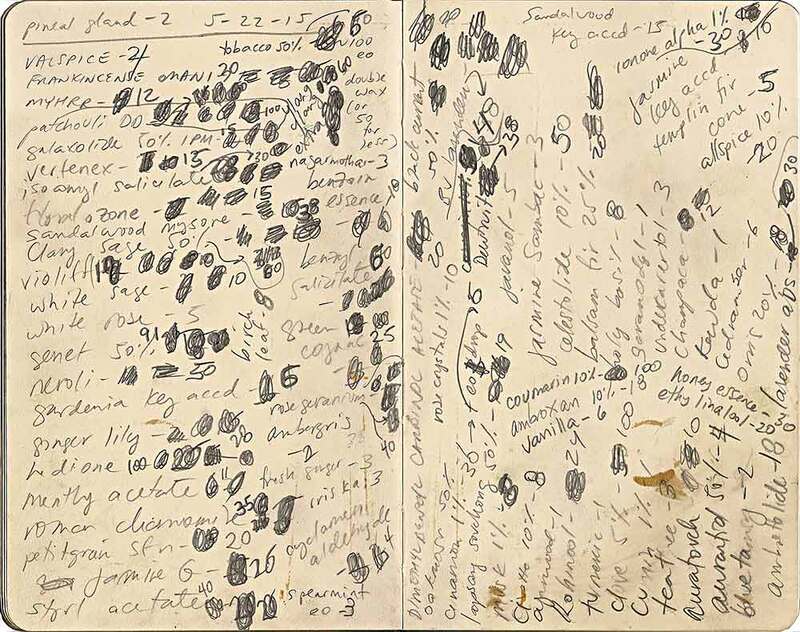 I plan to revisit the formulas for my chakric perfumes and launch a related line in 2017 under the umbrella of The Virginia Perfume Company. Each chakric perfume is designed to evoke a bodily frequency spectra for the enhancement or healing thereof. Making a new formula is a challenge that I liken to inventing a new recipe, such as for Mrs Fields Cookies. Although I start with a vision, I can't predict the complex interactions that occur in the mixing process. Some surprises are positive while others are lackluster or even disastrous, ruining the entire mix and forcing a time-consuming and expensive restart. Obviously, I develop using small quantities because I never get the formula right on my first try. For some formulas, I spend many months and thousands of dollars of ingredients down the drain. When a formula finally comes together, it feels like magic. The ingredients gel into a perfume that evokes memories and emotions. Smell is such a strong and ancient sense. The effort to create a perfume of great beauty is worth every effort. You can experience my results here. Thank you for your interest in my perfumery, as I take great pride in my work; not to mention, by purchasing my perfumes you are supporting my overall artistic practice. For that, I am extremely grateful.